Your trip will begin in the capital city of Sofia. Upon arrival at the airport, you will be taken to your hotel to check-in for your two night stay. After breakfast, an extensive tour of the city will follow during which you will visit Sofia's main landmarks including the Alexander Nevsky Cathedral, Holy Sophia Church, The Russian Church of St. Nicholas the Miracle Maker, St. George's Rotunda, St. Nedelya Church, the Presidential Office Building, Parliament Square, the Ivan Vazov National Theatre, Borisova Gardens and the National Palace of Culture. You will travel to the historic town of Koprivshtitsa, famous for being one of the first locations of the April Uprising in 1876 which led to the eventual collapse of Ottoman rule in Bulgaria. It is located in the Sredna Gora mountain range and is notable for its authentic Bulgarian architecture and relics from the National Revival period and longstanding ties with folk music, hosting the annual National Festival of Folklore. Later in the day, you will travel north to Veliko Tarnovo for a two-night stay. The medieval capital of Bulgaria, Veliko Tarnovo, and the fortress of Tsarevets, is symbolic of the reign of the Second Bulgarian Empire. 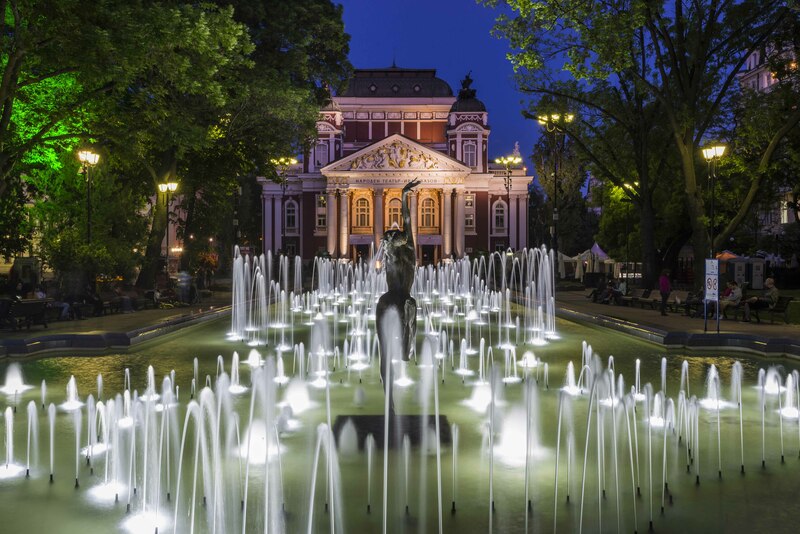 The town is steeped in regality as the former home of several Bulgarian Emperors with its palaces, marketplace and patriarchal cathedral among the points of interest. You will enjoy a tour of the city before making the short trip to the village of Arbanassi before returning to Veliko Tarnovo. The Etara open air museum commemorates the arts and crafts traditions of the region and you can get a real sense of the skill and passion of the craftsmen here. Shipka is home to the Memorial Church, a tribute to the soldiers who died during the country's liberation from Ottoman rule, and some of the most spectacular views of the surrounding mountain range. Kazanlak is the final stop on your whirlwind tour of northern Bulgaria, where you will take in the sights of the Museum of Roses and the Thracian tombs. 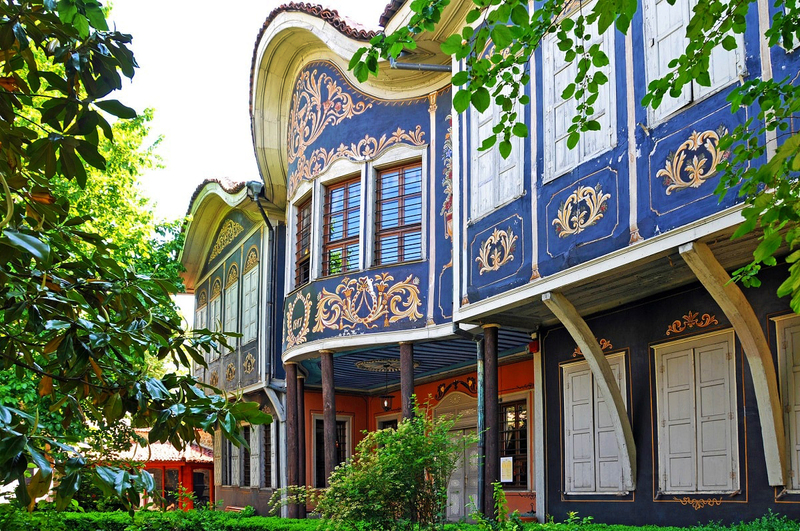 The city of Plovdiv is renowned for its ancient Roman heritage, with the Roman Theatre, Roman Stadium and the Aqueduct popular haunts for sightseers. The city is brimming with cultural significance with the St. Marina Church and the Ethnographic Museum also well-worth a visit. Your time in Bulgaria's second-largest city will be momentarily paused by a short trip to Bachkovo Monastery, the second largest monastery in Bulgaria, before returning to the City of Seven Hills for the evening. Rila Monastery is the most cherished monastery in Bulgaria. You will visit the church with adjoining museum and kitchen before spending your final evening in the capital. Your trip concludes with breakfast at the hotel and some free time before travelling to the airport for your departing flight.